The internet is naturally memetic – ideas replicate and spread among groups of people with mutual interests. These ideas are called memes and the most successful ones transcend their local group and spread around the world. The e-commerce industry is certainly no stranger to memes and the latest “contagious” idea is that of the omni-channel consumer. 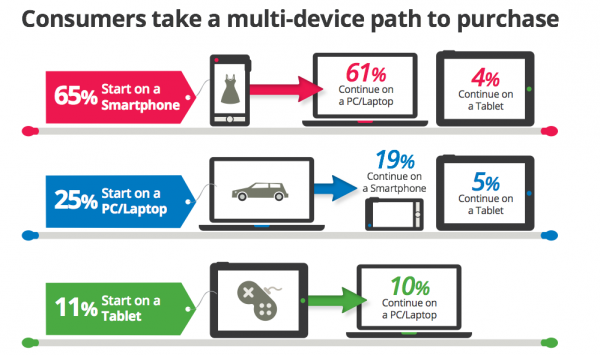 Multi-channel: Many channels, distinct from each other and managed differently so that customers have their experience tailored based on whether they’re shopping in-person or online and whether they’re using a laptop, tablet or smartphone. Omni-channel: All channels, providing the same products and services so that customers can fully experience the brand regardless of their chosen method of shopping or browsing. 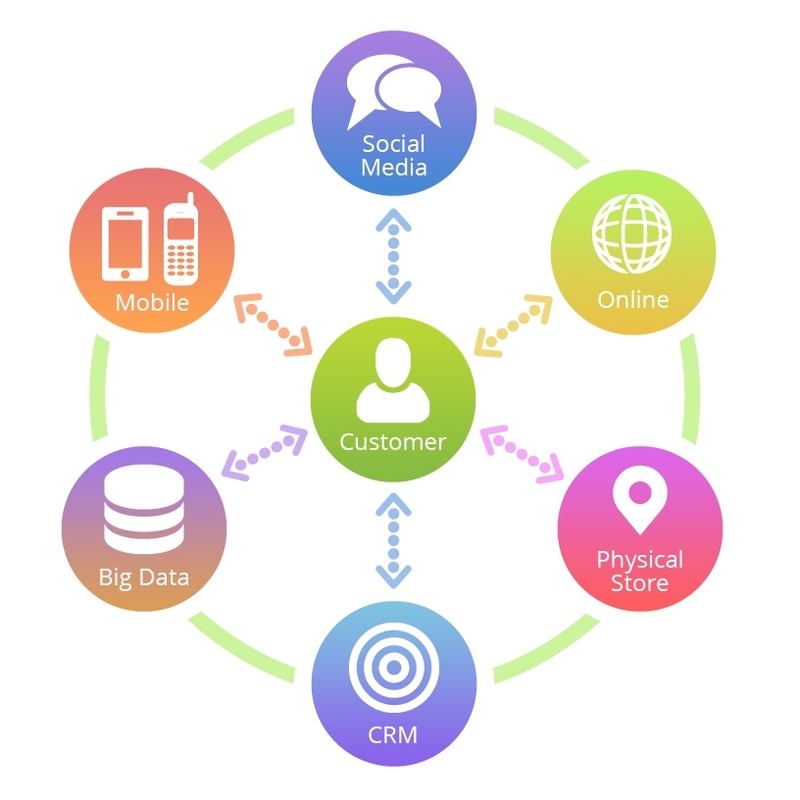 Defining omni-channel marketing is still a work-in-progress. Industry analysts agree that it’s the future of commerce, but they don’t all agree with how exactly to describe it. Part of the reason for this is that omni-channel commerce didn’t start as a business concept or marketing strategy, it was actually invented by the consumer. The relationship people have with their devices has changed. Because cloud computing and software-as-a-service infrastructure have become the norm and the public has grown accustomed to them, people now expect to have a seamless online experience independent of the channel. For example: Say you are browsing on your smartphone while on the bus. You’ve been meaning to get a pair of professional headphones and you find just the right pair from the online store of a local music retail chain. You add it to your cart just before you get off the bus. When you get home, you visit the same website on your laptop and see the headphones sitting in your cart. They’re a little expensive though so you decide to sleep on it. By morning you’ve forgotten about the headphones. A couple days later you receive an email from the store reminding you that you have an item sitting in your shopping cart. They’re offering free shipping if you add more items to your order, but you can’t afford that so you check the in-store stock and discover that the store closest to you is carrying the headphones. You head to the store and sure enough, the headphones are the same price as online but you’ve saved yourself the shipping costs. They remembered the customer’s choices across different devices. They followed up with a personalised email to the customer. Their products and pricing were consistent across channels, including in-store. Today, people expect to have the same services, prices and customer experience regardless of the shopping channel or device they choose – and they’re right to do so. This is what we call the omni-channel consumer. In some ways, omni-channel marketing is a natural development of multi-channel marketing, though in others it marks a significant change of direction. While e-commerce is and seems poised to remain the preferred term for the industry, the line between online and traditional commerce has blurred. Merchants have to abandon old black-and-white ideas such as e-commerce vs. m-commerce and online vs. in-store. Sales avenues that were once totally separate are now converging. E-commerce and m-commerce are no longer distinct because consumers don’t view their devices as distinct channels – they don’t expect there to be any difference in their online experience. Brick-and-mortar businesses also can’t deny the influence of digital channels. In-store sales informed by online searches are four times higher than total e-commerce sales and the line between digital and physical sales is further blurring as the popularity near-field communication (NFC) payments rises, allowing people to pay for goods in-person with their e-wallets and smartphones. Online retailers are embracing omni-channel commerce for one reason: because it works. It’s not a “new paradigm” dreamed up by a marketing guru, it’s simply how consumers choose to behave. What better marketing advice is there than to give people what they want? Central to omni-channel commerce is the idea that it’s up to the customer to choose how to buy from you, so successful marketing is represented in how well businesses enable their customers to engage with their brand. Instead of perceiving their brand in terms of specific touch-points, marketers need to maintain consistency in their products and promotions across all sales avenues. This strategy ultimately benefits overall brand awareness and builds loyalty. By providing the same experience to everyone, retailers allow their customers to experience the brand rather than the channel. Thus the brand becomes the focal point. The customer can be marketed to across all channels and the marketing efforts within any single channel benefit the brand as a whole. Preparing for an omni-channel presence is a worthy investment for any business. For more information about how you can start taking your business omni-channel and several invaluable marketing tips for how you can address today’s consumer, read our post about how to prepare your business for omni-channel commerce. You can also keep up to date with the latest posts by following us on our Facebook and Twitter pages and by subscribing to the DalPay Blog.